Biogas conditioning is a critical process for biogas management. Biogas primarily consists of methane and carbon dioxide, but may contain constituents of sulfur species, silicon species, and moisture. Some of these elements can damage end use equipment, be dangerous to human health, and pollute the environment at high concentrations. 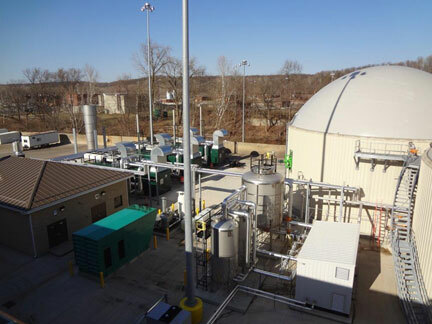 Since biogas production is dependent on the varying organic loadings and temperatures of the anaerobic digestion (AD) system, a biogas conditioning system must be designed to remove the harmful constituents while maintaining a consistent flow, pressure, quality, or all three. Biogas conditioning technologies are generally grouped into categories based on the contaminant being removed. Figure 2 illustrates the recommended removal order of these technologies. Particulate and moisture removal and compression systems are typically packaged into a single skid since all biogas conditioning systems require them. Particulate removal is essential to protecting sensitive equipment downstream. A mesh gas filter with a pore size of 3 to 6 microns disperses the gas stream, causing any fine particulates to drop out. Moisture removal is accomplished by utilizing a gas-to-liquid heat exchanger that is cooled by a remotely installed chilling system. The gas temperature is reduced below the dew point as it passes through the heat exchanger, causing moisture to precipitate. 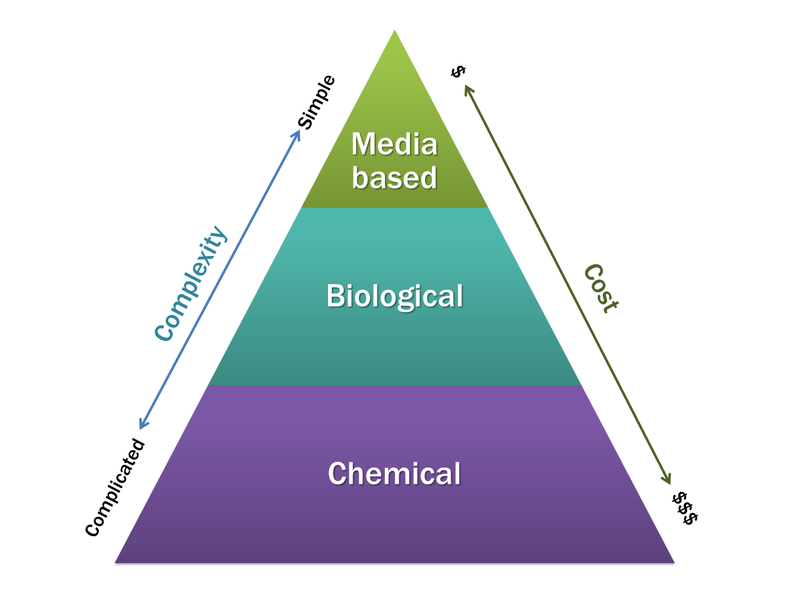 Typically, these systems increase in cost and complexity with media systems being the simplest and cheapest with chemical systems being complex and expensive. Chemical and biological systems become more cost-effective as the hydrogen sulfide loading increases. The technology best suited for an application depends on the type and amount of siloxanes, as detailed in the article “Making Sense of Siloxanes.” As a result, the sampling and testing of biogas for siloxanes is the most critical step in resolving such issues. Biogas is an important form of renewable energy and its use is becoming more commonplace every day. The careful sampling and testing of a biogas stream is necessary to define the characteristics of the contaminants present. By relating this data to local air pollution and odor regulations and the potential use for the biogas, the type of conditioning technology best suited for your application can be determined. A simple preliminary engineering study can then identify the most cost-effective approach to successfully condition your biogas stream. This entry was posted in Anaerobic Digestion, Biogas, Industrial, Municipal, Waste. Bookmark the permalink.